Looking For Musical Instrument Store Musical Instrument Rental? Long & McQuade is a musical instrument store in Mississauga. Long & McQuade sells and rents a range of musical instruments, including: band instruments, drums, guitars, keyboards, and more. They also offer music software and print music. Long & McQuade's Music Lesson Centre in Mississauga features highly qualified teachers and private instruction for all ages, levels, and styles. Products Carried: As a premier musical instrument store in Mississauga, Long & McQuade offers a variety of musical instruments for sale or rent. They also offer repair services. Long & McQuade Mississauga has a Music Lesson Centre offering students of all ages premium music lessons. 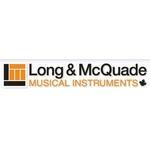 Long & McQuade’s instruments are available in a range of prices and brands that include guitars, drums, band instruments, and keyboards.